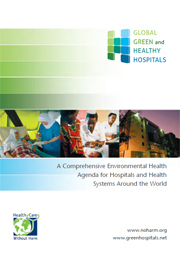 Global Green and Healthy Hospitals is an international network of hospitals, health care facilities, health systems, and health organizations dedicated to reducing their environmental footprint and promoting public and environmental health. The Global Green and Healthy Hospitals network has more than 1,000 members in 54 countries who represent the interests of over 32,100 hospitals and health centers. Our members are using innovation, ingenuity, and investment to transform the health sector and foster a healthy, sustainable future. Global Green and Healthy Hospitals offers a diverse array of programs for members to take advantage of. 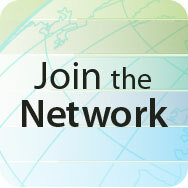 From cutting edge online platforms that connect your institution with other members, colleagues and experts from around the globe, to educational tools and events that keep you on the pulse of the sustainable health care field, to initiatives bringing together the global health sector to address environmental and public health issues, GGHH has something to assist every member achieve their sustainability goals.